Looking back to my first post on MikeHawkey.com, I thought I would post up one of the images used in the post, and my cover art for the site. Hunting through my folders of images, I found it, Burma the Elephant. 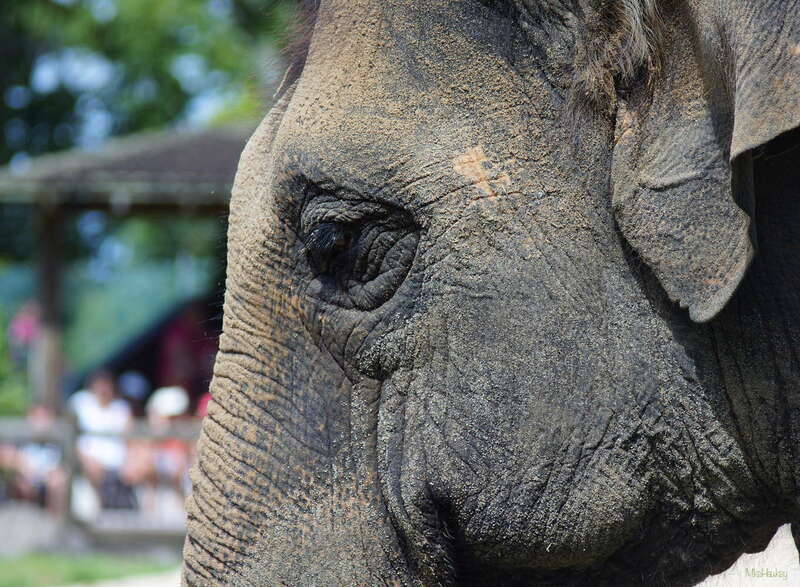 Burma is Auckland Zoo’s only current elephant, sadly after its other, Kashin, died at a youthful 40 years old in 2009. An ‘Asian elephant’, Burma was born in 1982, and thanks to a dedicated team of helpers, although currently alone, Burma is in good health and doing well. Described as being much like a cheeky teen, she is energetic and mischievous. Sweet fruits, painting (which can be brought) and visiting other animals on daily walks around the zoo are amongst Burma’s fun-to-do things. I have read the Zoo is working hard to try and get some more elephant friends for Burma. No doubt its a slow process, but fingers crossed it comes together! Image wise, this was shot last year on my Sony Nex 5N. I dont have any lens data, so I suspect it was on my Jupiter-11 lens. Editing wise, I cropped the foot of the rider off and lifted the saturation a little. Cheers. I bet she does, and heres hoping! I really like this vantage point. Great composition!